In May 2013, we are holding two BEtreat workshops near Cape Town in South Africa. BEtreat workshops are a unique experience of engaging, connecting, and learning. In a retreat setting we explore cutting-edge issues facing people whose work involves the support and cultivation of networks, communities of practice or social learning systems. For four days we roll up our sleeves and take a deep dive into the challenges and opportunities in this growing field. Moving between latest research and shared experiences we create a dynamic context for engaging in practical challenges and new developments. The workshops are small and focused. Participation can be face-to-face or online. We are excited that this is the first time we are running the workshops outside California. Read what some people said about previous workshops here. The BEtreats take place near Cape Town, in the beautiful retreat of Fynbos. 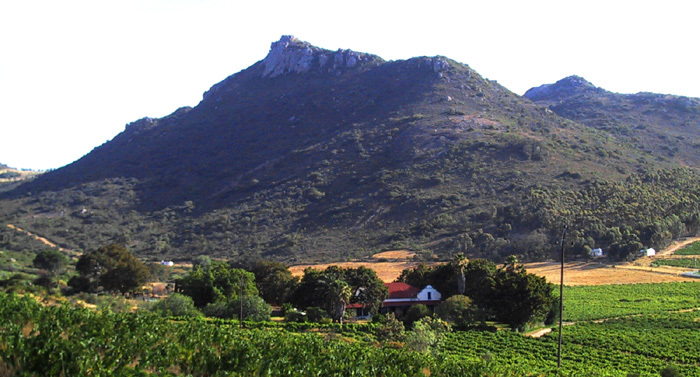 A view of the Fynbos Estate. There are two BEtreats: one that focuses on the art of community and network leadership; and one that focuses on theory and research. May 14 – 17 How do we develop, evaluate, and support learning in networks and communities? This workshop is for people in business, government, international development, education and healthcare who want to find answers to their specific challenges and stay ahead in the field. What is the latest social learning theory and research? This workshop is for academics, researchers, students, and practitioners who want to deepen their understanding of social learning theory and its application to their project. All offer early-bird discounts until March 31. Face-to-face prices below include full room and board: breakfast, lunch, dinner, and refreshments for all four days, with single or shared room. There is limited accommodation on site. It will be assigned on a first-come first-served basis.